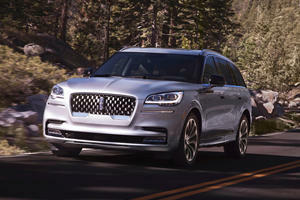 After a 13 year hiatus, the Aviator name has been revived for Lincoln’s latest luxury, 3-row SUV offering. In its most basic drivetrain specification, the twin-turbo 3.0-liter V6 generates 400 horsepower and 400 lb-ft of torque, paired to a 10-speed automatic gearbox. 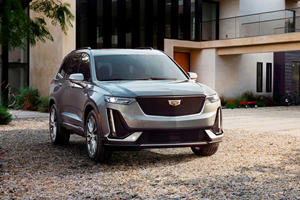 The hybrid, as denoted by the ‘Grand Touring’ trim, pairs that same engine with a hybrid system to bump power to 450 hp, with torque rising to 600 lb-ft to rival the Durango SRT – though expect competition from the Volvo XC90 and Audi Q7. 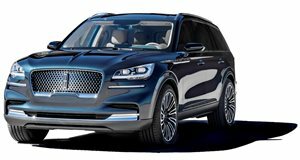 Luxury is paired with tech in the new Aviator, with ‘Phone As A Key’ technology, while Lincoln’s Black Label trim will also be available, adding extra levels of luxury and style. 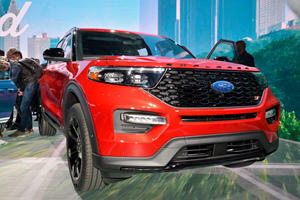 Prices are expected to start at around $50,000 when the SUV hits showroom in the summer. And chances are people will happily write Ford a check.